No one enjoys making mistakes. And for homeowners, mistakes can feel overwhelming when they involve a costly investment in your home. Windows play a major role in the protection, comfort, and look of your St. Louis home, so when picking the right one, you want to avoid mistakes. Replacing windows can be a large undertaking. It’s a substantial investment, so it’s important to make sure you choose the right replacement windows and have them properly installed. 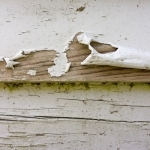 In our 21 years of doing business, we have seen our fair share of homeowners who have made replacement window mistakes. The good news is you can learn from these blunders rather than go through them yourself. Here are seven mistakes you don’t want to make when replacing your home’s windows. The window options on the market today are almost uncountable. From a variety of styles to a variety of materials, homeowners have almost too many options to choose from. Because of this, it’s easy to simply replace your current windows with brand new windows of the exact same style. But there is often a reason your current window style needs to be replaced. Simply purchasing new windows is not the solution. It’s finding a secure and durable substitution that will make your replacement windows worth the investment. 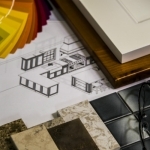 Take time to research the style, material, efficiency, and look that will best fit your home and your needs. The principle that “money isn’t everything” rings true in your home’s window replacement search. While cost should remain a factor in your search, it should never be the only factor. More often than not, lower costs mean cheaper products. For example, vinyl windows are a cheaper option upfront than fiberglass. However, while vinyl is a durable product, fiberglass products need far less maintenance and last longer than vinyl. That means fewer potential replacements. Energy-efficient, beautiful, and durable windows are not the cheapest options on the market, and when you go cheap, you get what you pay for. Give yourself a reasonable budget, and find the best window you can in that price range. What comes down the road is just as important as the immediate installation of your windows. But too often, homeowners forget to factor upkeep into their window costs, thinking brand new windows will automatically protect their homes for years to come. Different materials require varying amounts of upkeep. Wooden frames need to be repainted and resealed at least every five years. However, vinyl and fiberglass windows require far less maintenance. 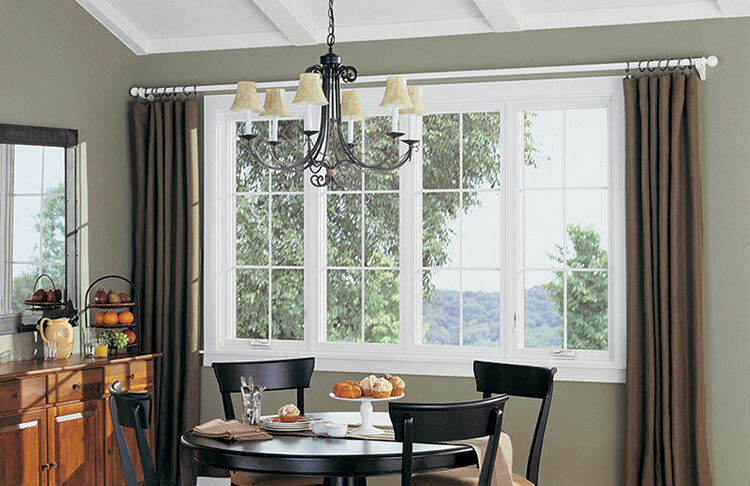 Keep the cost of maintenance in the back of your mind when selecting windows. Replacement windows can provide a fresh and elevated look to your home, but this is not their sole purpose. Windows open up your home and provide light while also guarding your interior—both from exterior elements and from perpetrators. They can be the weakest points of entry in a home. Therefore, choosing windows such as casement windows or sliding windows which only open from the interior can help secure your home. And while a window may look good, it may not work for your location. Do your research to find a window that functions optimally with the St. Louis climate and weather conditions. Efficiency has become more important to homeowners in recent years for many reasons. It’s environmentally responsible, cost-saving, and actually protects the interior of your home from harmful sun rays. Windows are a great place to implement energy-efficient measures. Many homeowners regret not selecting energy-efficient windows. A majority of the heat that escapes your home does so through your windows. Check out our homeowner’s guide to energy-efficient windows for some extra information on what to look for when selecting your home’s replacements. Don’t make the mistake of thinking that self-installation of your new windows could be a cost saver. Actually, the exact opposite is true. While you may be tempted to look at the zero-dollar installation cost versus the price of hiring a contractor, what you don’t realize are all the expenses that could arise from a poor installation. Without proper sealing and placement, windows can leak, allowing water and therefore water damage into your home’s interior. The same mistakes can also mean drafty areas in your home. When heat and air conditioning are allowed to escape and enter your home unwantedly, the result is higher energy bills and less overall comfort. It is also noteworthy that improper installation of any home product, windows included, can void all warranties on the item. This could mean not having the proper warranties in place in the event something happens to a window. Ultimately, a contractor is the right way to go when replacing windows. However, it’s still easy to make the mistake of hiring the wrong contractor. The wrong contractor can make the job more expensive than it should be, take too long on the project, or improperly install your replacement windows. If a contractor is lacking in any of these areas, you should keep looking. Don’t rush the project. The right contractor is out there. You can have the exterior you want, and it can all begin with your windows. If you’re looking to replace, learn more about the right windows for your home’s needs. Our team can help you customize your home’s exterior design and have you enjoying your transformed home. Call us at (636) 978-5000 for a free, on-site consultation, and a replacement quote.